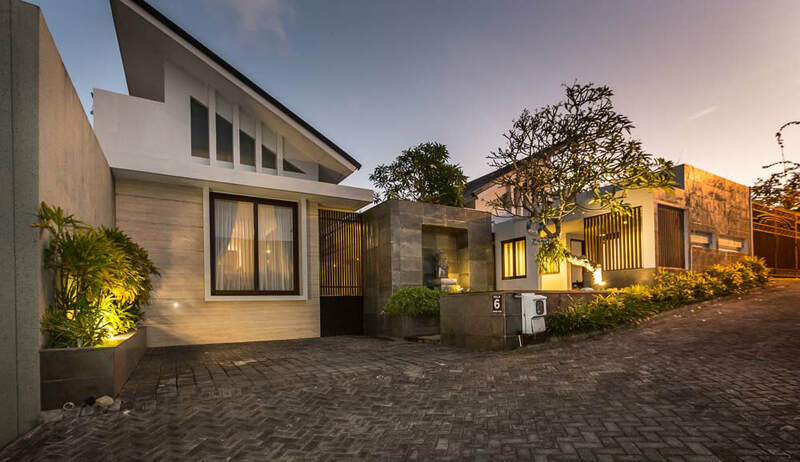 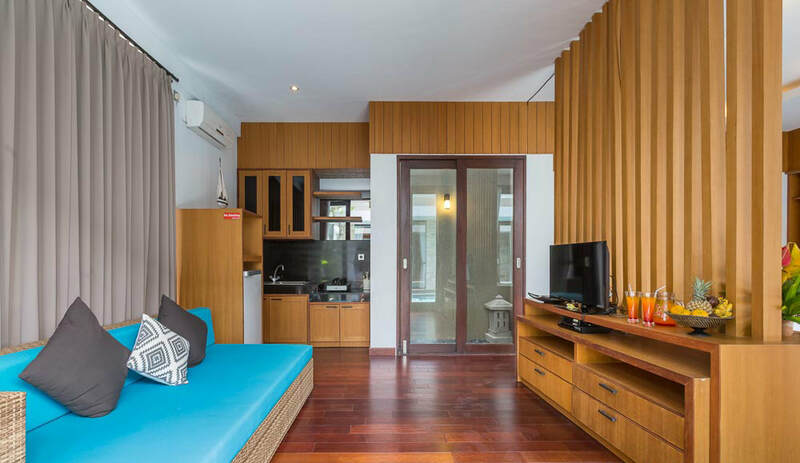 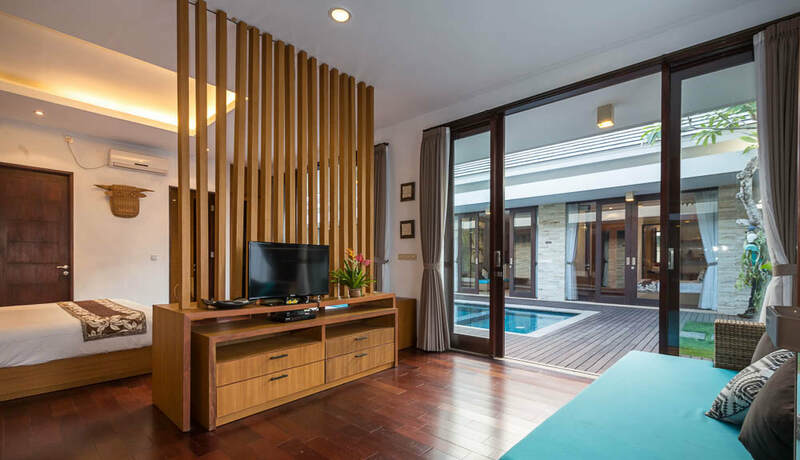 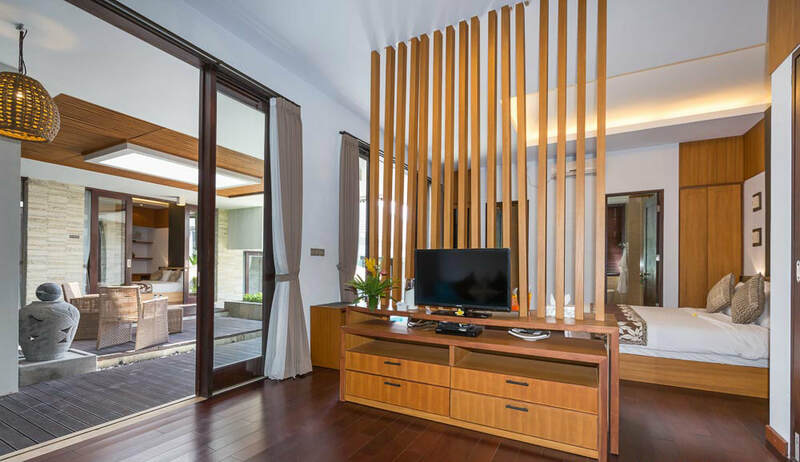 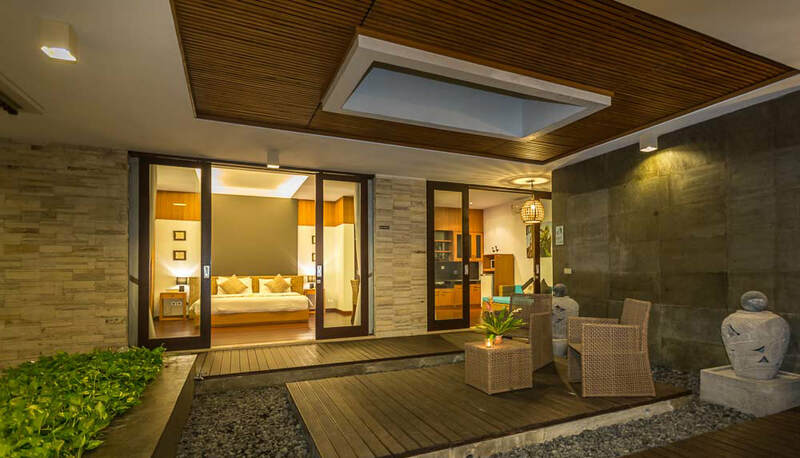 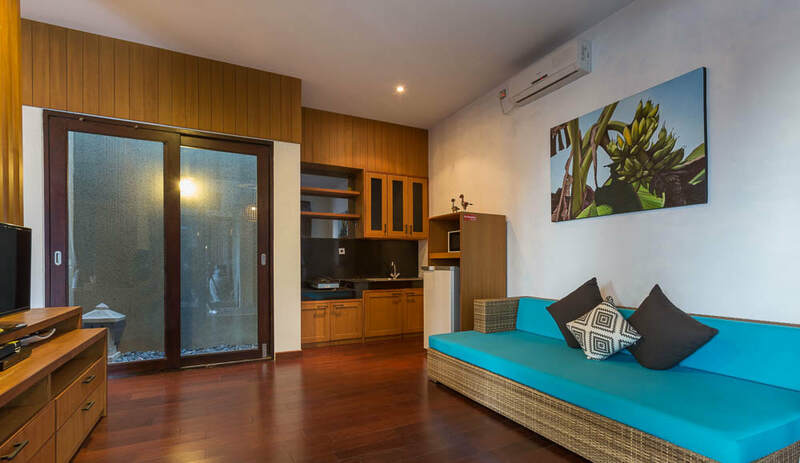 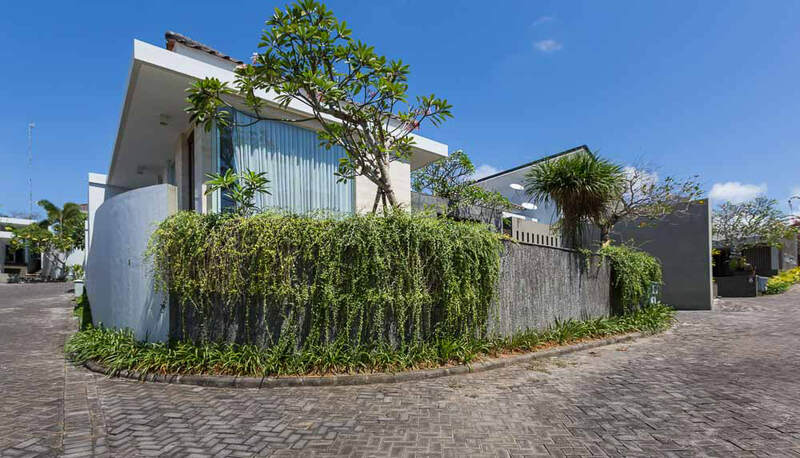 ​This five-bedroom villa is located at Nagisa Bali Bay View villas Complex – Nusa Dua, with private enter and 24/7 security. 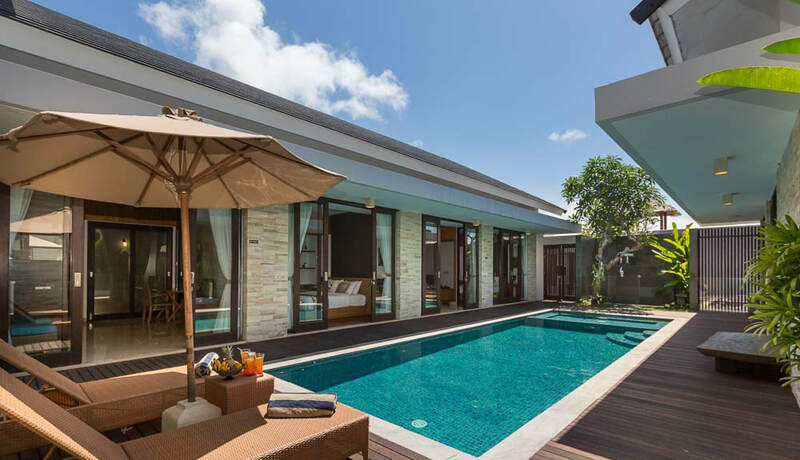 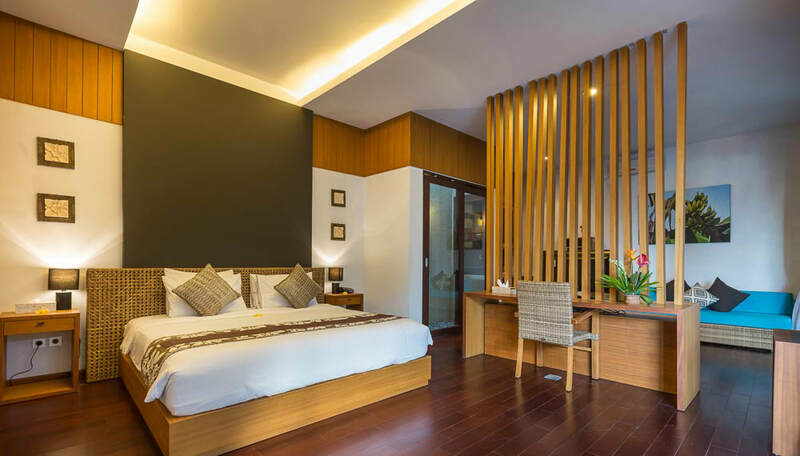 It only takes 10 minutes to go to the Ngurah Rai International Airport if you drive through the over-the-water Bali Mandara toll road and it is easy to go to the beautiful beaches of Nusa Dua. 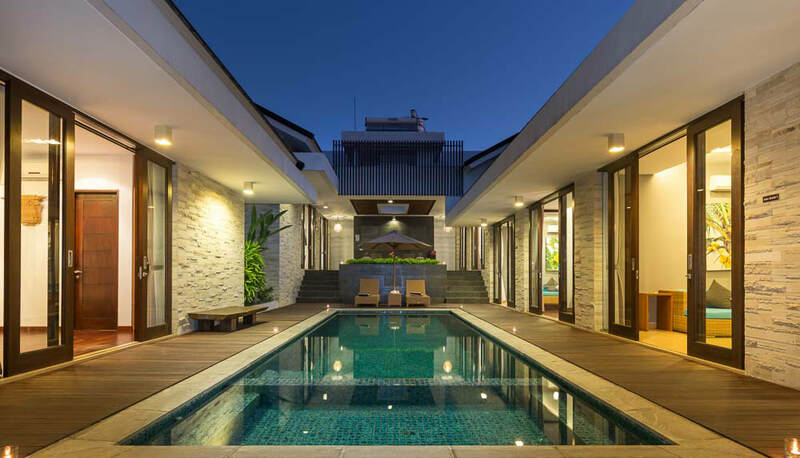 Maximizing its space, the villa was built around the pool. 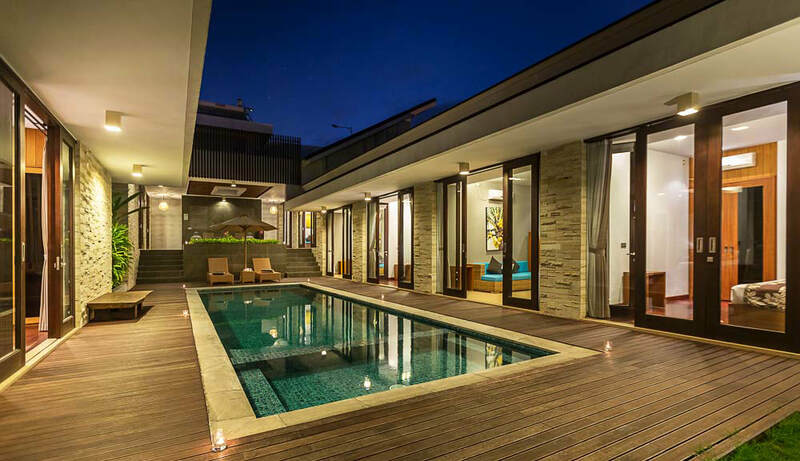 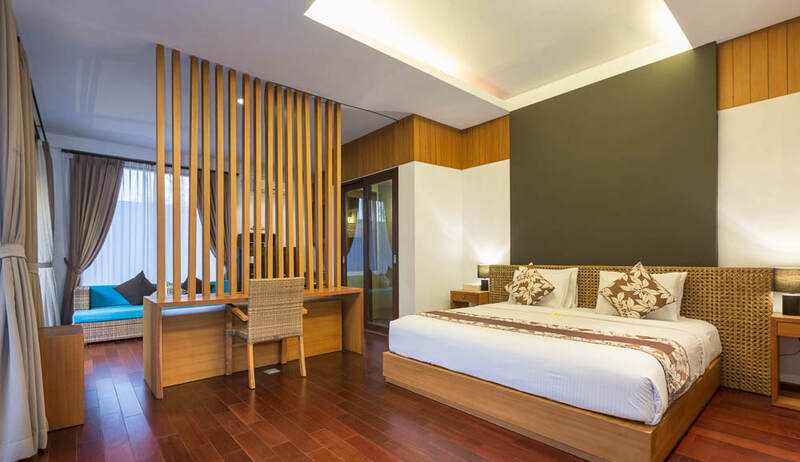 While entering, you can find a huge swimming pool and an appreciable wooden pool deck to lie down and sunbath. 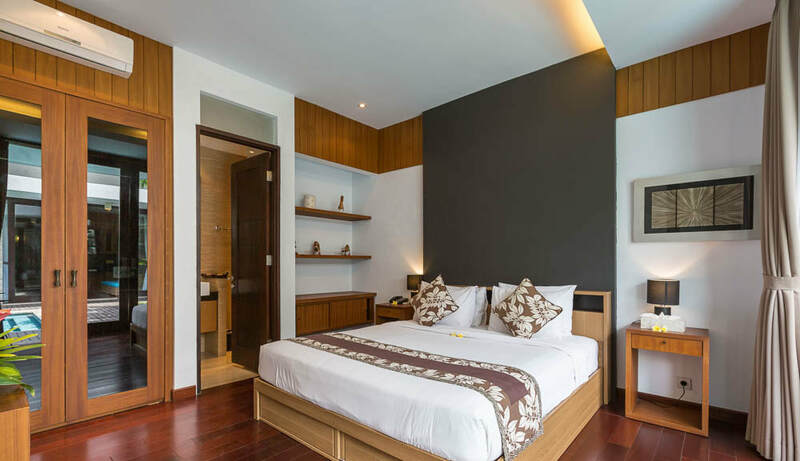 Each bedroom has its own equipped kitchenette with fridge, microwave and storage; and offers the intimacy needed if you travel with a group of friends or with your loved one and other couples. 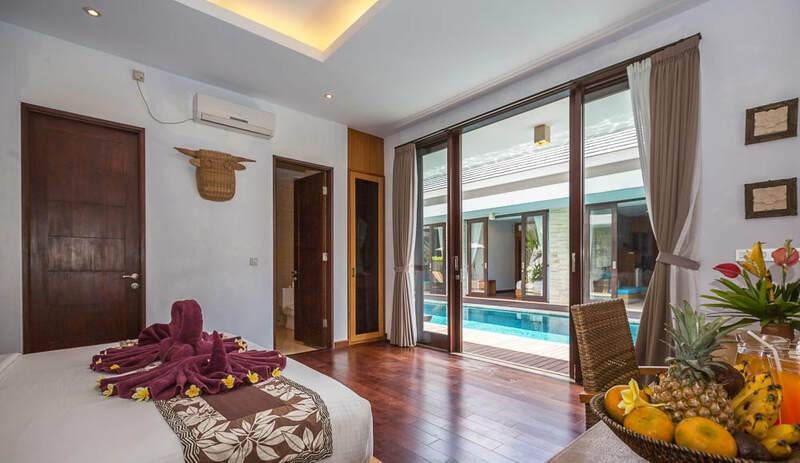 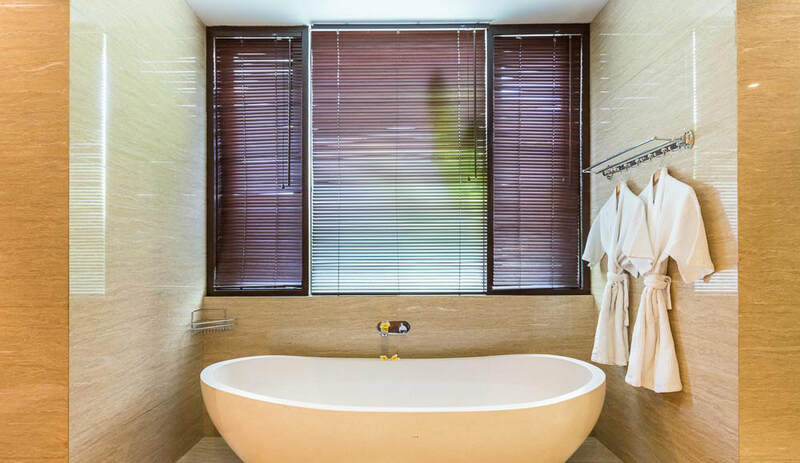 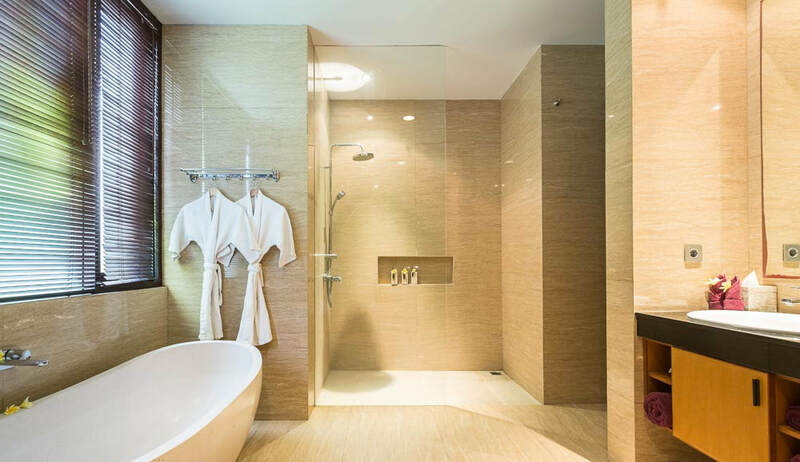 Also, every room has picture windows facing the swimming pool and bathing the light all the rooms of the house.